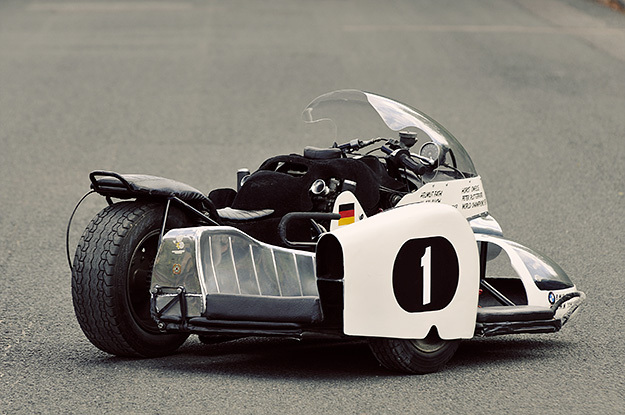 One of the greatest sidecar racers of all time was the German Helmut Fath. And this machine carried him to the sweetest victory of all. It’s called a URS, and it was sold by the Bonhams auction house last weekend for an extraordinary £102,700—a cool US$160,000. The price was high because there’s an action-packed story behind this bike (if you can call it a ‘bike’). In 1961, while heading for his second consecutive World Championship, Fath crashed his BMW heavily at the Nürburgring. His passenger Alfred Wohlgemuth died in the accident, and Fath himself spent a year in hospital recovering. 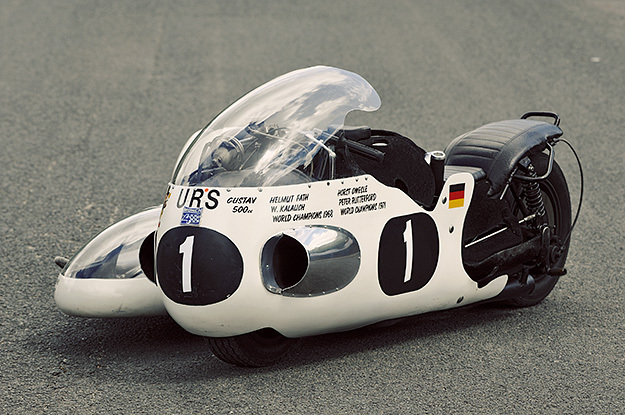 When he came out of hospital, he recuperated by preparing BMW Rennsport engines for other motorcycle racers—and regularly outperformed BMW’s own factory efforts. Not surprisingly, BMW rejected Fath’s request for a factory ride when he was finally fit enough to get back on a bike. So he created a low-budget race team and built his own bike—the bike you see here—and named it after his hometown of Ursenbach. Power comes from a 498cc four, with eight valves, two camshafts and twin-plug ignition. The engine revved to an amazing 15,000rpm and developed 88bhp, almost 20bhp more than BMW’s factory engines. 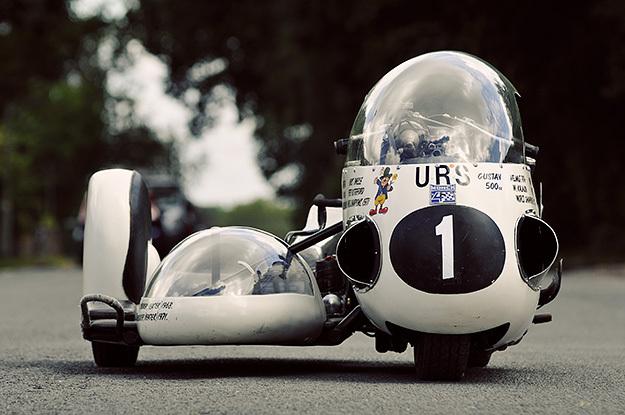 In 1968, Fath used this machine to beat BMW factory rider Johann Attenberger and take the sidecar World Championship for a second time. 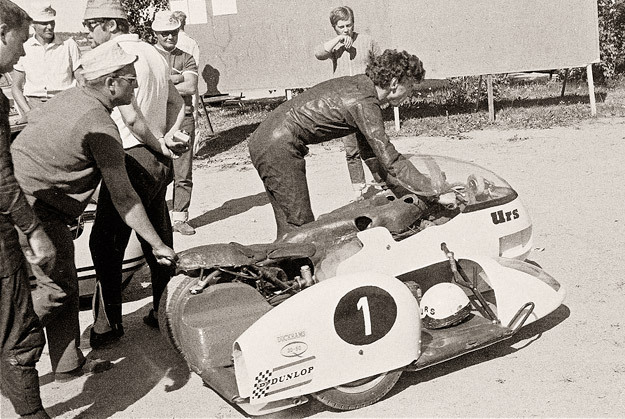 An accident the following year knocked Fath out of the Championship once again, but the URS sidecar returned to action in 1971 at the hands of Fath’s race engineer Horst Owesle. Remarkably, BMW was again relegated to second and Owesle won the Championship.